Help kids work on number recognition with these fun, free printable number circle sticker worksheets. So simple, so fun! 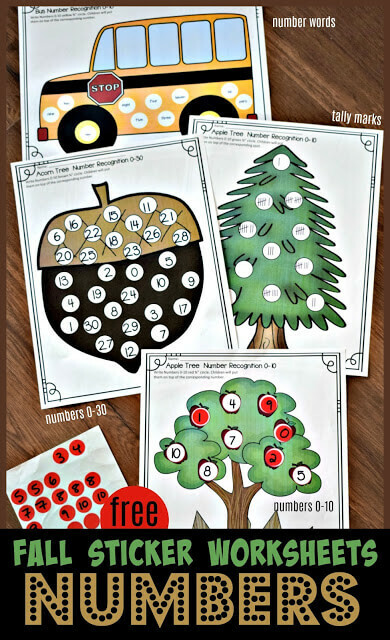 Kids will love practicing identifying number words, counting tally mark, and recognizing numbers 0-30 with these super cute, FREE Number Circle Sticker Worksheets we shared on our sister site today.